What happens when Architects go to Spain! 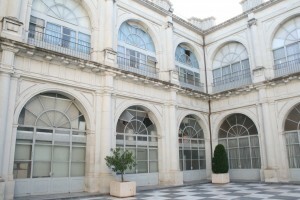 At the start of the day we made our way through the campus of the University of Sevilla. From there we headed over to the grounds of the Ibero-American Exposition (photos) of 1929. 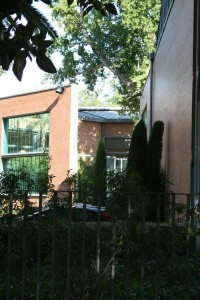 On the way we saw one of the buildings I had done research on previously, the Infanta Elena Library by Cruz y Ortiz. Observations: Require you to leave backpacks/purses at entrance counter.